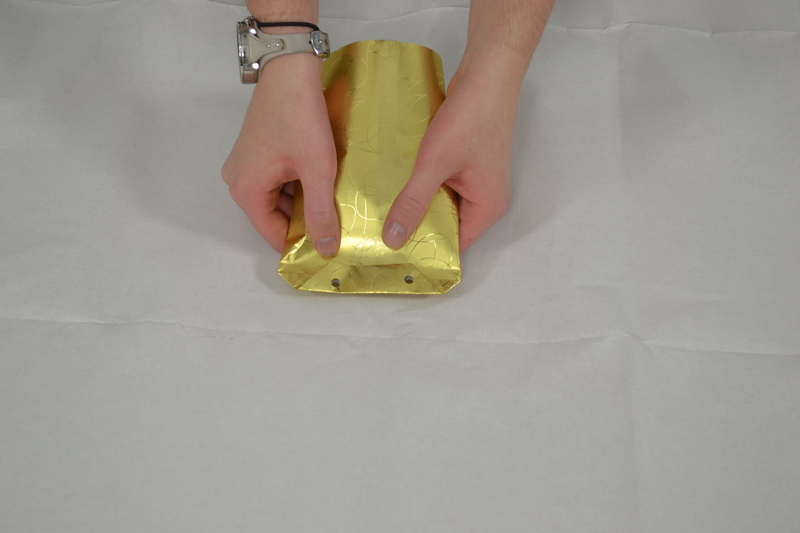 This pouch-style method of gift wrapping will make those hard-to-wrap presents look extra cute underneath the tree. If you’ve mastered the art of gift wrapping a regular rectangular present, it’s time to take on more complex shapes. Our pouch-style method of wrapping smaller awkward-shaped presents not only looks super cute and neat, it also couldn’t be much simpler. Your loved ones will soon be in awe of your amazing way of wrapping up gifts, and it’s all down to these six easy steps. Although this tutorial does work best with smaller presents, it can easily be adapted for larger presents, or scaled down for items such as gift cards. Easy, festive, and versatile; what could be better? Cut your paper so that extends 1 inch beyond your object on all sides. You'll especially need excess gift wrap at the top and bottom of your gift later on. Wrap the paper around your object on the long side, and secure with tape. You should now have a tube that’s open on both ends. 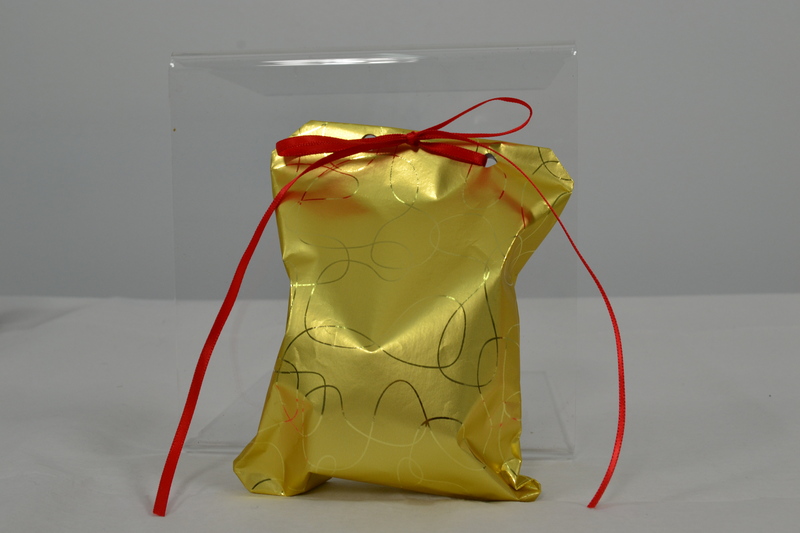 Adjust the position of the gift if necessary to ensure it's still in the centre of your gift wrap. 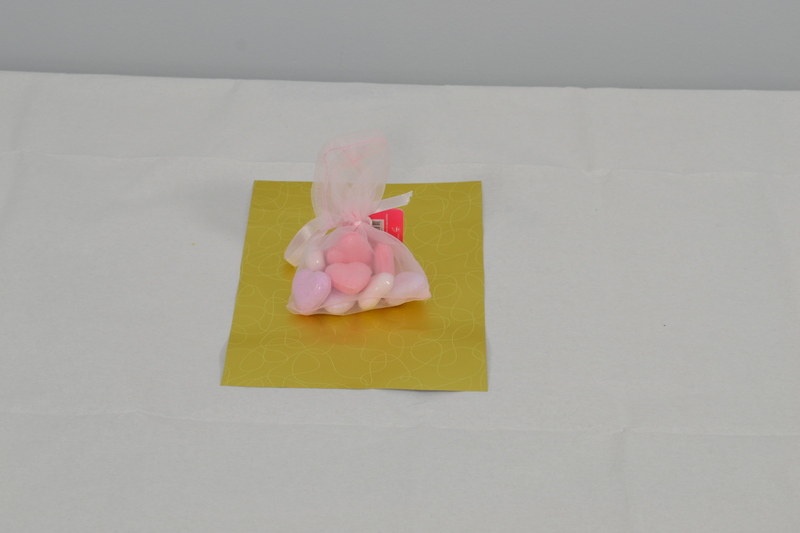 Flatten the ends of the paper and fold the edges over to make a pouch. Make sure you're not folding the paper back against the gift, as you'll need to hole punch through this later. We recommend folding each edge over by approximately half an inch. For a neater finish, try folding the same edge a second time to hide the cut edge of the paper. Hole punch the folded ends. Punch two holes at one of the folded ends. We recommend drawing two dots at each end that split the edge into equal thirds before punching. Thread ribbon through the holes, then tie into a bow. Make sure the bow is tied on the opposite side to where you've stuck the gift wrap down as this will make it look cleaner. Repeat step three to close the other end of the pouch. If you like, you can hole punch the other end and thread more ribbon through. Depending on the weight of your gift, you might want to tie your present onto one of the branches of your Christmas tree. What's the Product in this Video?